Enjoy 2 FULL days and 3 nights immersed in self-love, self-care, and self-illumination. Together we'll discover your personal blueprint, what you can trust within yourself to make confident and clear choices that will transform your life, work, finances and relationships. Your blueprint will reveal your true nature, your personal talents and strengths and purpose for being on the planet. And, it will give you understanding as to when your responses to life's events are authentic, intuitive and instinctive versus coming from your conditioning and the energetic influences of your surroundings. Your retreat house is situated 5 blocks and an easy walking distance from the ocean. It includes two bedrooms, two baths, a full kitchen and adjacent sitting area. The area is filled with parks, walking trails, gazebos, and turtle ponds for your journaling, contemplations and nature watching. * How long has it been since you've loved yourself enough to focus on YOU? 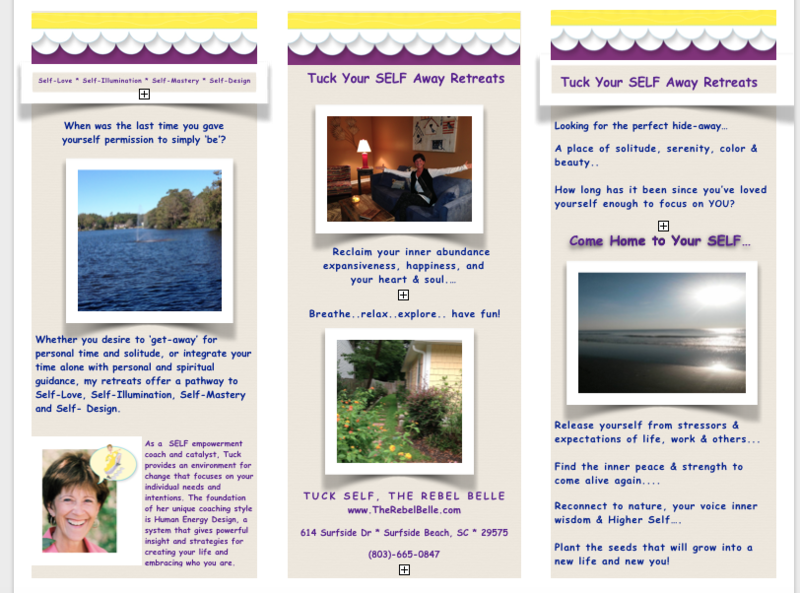 ****Download our brochure for additional pictures and information about our retreat home & packages. Livin' in the G.A.P. ~ Gratitude, Attitude & Perception!